Oh, and only (probably) the world’s biggest start-up event, Web Summit… we didn’t forget about you! 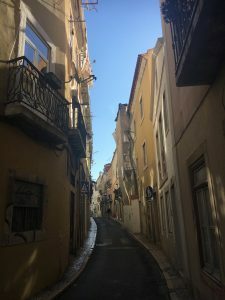 We took our Start-up Hunt to Lisbon’s sunny shores just over a week ago to search for the next unicorn, and we loved what we saw. With over 60,000 attendees from over 170 countries there was no doubt that we were in the right place to search for the next big thing. The challenge – moving fast! 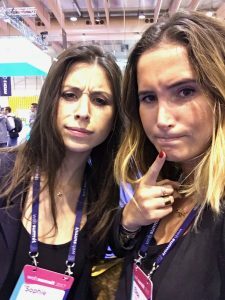 With the start-ups at Web Summit changing every day, blink and we’d have missed them. Away from the stage, we loved meeting with Medtech start-up Tilek, which uses mobile games as diagnostics for chronic diseases, and saw trends in marketplace technologies (peer-to-peer, crowd-sourced data), blockchain and AI, which was everywhere. And we mean literally, everywhere. We were hardpressed to find a start-up that WASN’T using AI technology. The whole event had a similar feel to French rival VivaTech, another hot ticket in the start-up world (you’ll find us there too in May 2018). And Lisbon as the backdrop for this extravaganza? Few start-up hubs have been as readily bigged up. Lisbon has been posited as no less than the future of the start-up scene, the destination of the Brexit exodus and the place to see and be seen. But can it put its money where its mouth is? The next big start-up capital? A hub is more than just sum of the start-ups who’ve set up shop there; backing from exceptional universities and research centres is a must. Lisbon’s two major universities and specialist polytechnic institute create the perfect breeding ground for innovation, while the Lisbon MBA International is ranked among the 20 best full-time MBA courses in Europe. A small nation, the Portuguese are inherently international looking, learning English from a young age and always looking to prosper in overseas markets. This reputation is reinforced by the government programme Inov Contacto, which sends hundreds of Portuguese graduates to work abroad every year, returning with a more global focus and wider operational experience. Faced with the 2007-2009 financial crisis that ravaged Europe, the resourceful Portuguese found solutions from within, as home-grown start-up talent flourished. The “entrepreneurial spirit” in the air has been harnessed by the team behind Factory, who are renovating a former military factory in downtown Lisbon. Designed to rival Paris’ flagship Station F, Factory plans to open in 2018 and eventually house 100,000 square metres of prime start-up real estate. This would dwarf Station F’s 34,000m2 facility. Second Home, the successful London-based incubator, came to town in 2017, as did Impact Hub, the network of over 90 co-working spaces, and Beta-I, who have moved into a former post office. Each of these projects are renovating old and abandoned spaces, breathing life into Lisbon’s start-up spirit and rejuvenating the city to boot. Sniffing the opportunity, corporates are following suit. Mercedes-Benz opened their first Digital Delivery Hub in Lisbon to drive their “future digital transformation from premium automobile manufacturer to premium mobility service provider.” And only a fortnight ago, online fashion platform Zalando announced the opening of its third technology hub outside Germany, in Lisbon, to advance the digital experience of its customers. While investment in Portuguese start-ups is still small compared to the rest of Europe, the growth of the ecosystem has been phenomenally rapid. The 2017 SEP Monitor Report led with the stat that the Portuguese scale-up ecosystem is “growing twice as fast as the European average.” And according to research firm Preqin, VC investment in Lisbon’s start-ups grew six-fold from 2015-2016. With the cost of living, and therefore the developer costs, sitting so much lower in Lisbon than in other hubs, there is a drive for companies to build their operations teams in Portugal. This is likely to be a factor in the success of tech-driven start-up successes like Uniplaces, the student home booking site, and Codacy, an automated code review tool that helps developers. There is support on a local and national government level to encourage this growth too, with incentives including a reduced tax rate for start-ups (sometimes as low as 7.5%), while investments of up to €5m can be cut down by as much as 20% in tax. 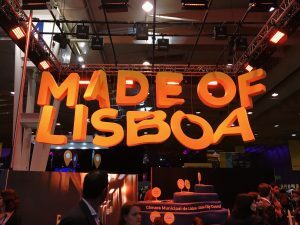 Startup Lisboa, which started life as Lisbon’s main startup hub, was founded in 2011 by Lisbon Municipality, Montepio Bank and IAPMEI – Portuguese Agency for Competitiveness and Innovation, a private non-profit association. Initiatives such as “Startup Portugal” were also launched by the government, followed up by a Startup Visa programme in January 2017 for Indian entrepreneurs looking to launch their start-ups in Portugal (and therefore have access to Europe), and Indian ICT and engineering graduates as well. While Lisbon’s future does fill us with excitement, we have to admit that Lisbon is still just… Lisbon. Hype alone can’t make a world-leading start-up hub appear overnight. 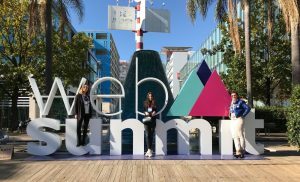 While Web Summit 2016 was said to have generated more than €175 million in revenue for the city, and we’re certain that 2017 will have been just as successful, we need to see this growth being sustained before we give this newcomer its start-up crown. Nevertheless, we can’t help but be endlessly upbeat about the beautiful city that’s defying all the odds to become a major player in the European ecosystem. With the cost of living a reported 75% cheaper than in London, the offer of a fantastic way of life, and the pull of giant events like Web Summit, we can’t wait to see what Lisbon has next up its start-up sleeve.